After G-7 Summit, Merkel Says We Can No Longer 'Completely Rely' U.S. And UK : The Two-Way In a call for European unity, the German chancellor urged a crowd of supporters to "take our fate into our own hands," because, she says, the two nations are no longer reliable allies. After G-7 Summit, Merkel Says Europe Can No Longer Completely Rely On U.S. And U.K.
German Chancellor Angela Merkel issued a call for European unity in a speech at a joint campaigning event of the Christian Democratic Union and the Christian Social Union in Munich, southern Germany, on Sunday. On the heels of last week's G-7 summit, German Chancellor Angela Merkel issued a wake-up call for European Union nations on Sunday. At a Munich stop on the campaign trail, Merkel told supporters that Europe can no longer count on the U.S. and the U.K. as reliable allies. The days that Europe could completely rely on others are "over to a certain extent," Merkel warned at a rally in a packed Bavarian beer tent, Reuters reports. "I've experienced this in the last few days." Her impassioned comments indicate her disappointment with the past week's contentious meetings of NATO in Brussels and the Group of 7 in Italy. Merkel had described the climate change talks at the G-7 meeting as "very difficult, if not to say very dissatisfying." While leaders from the U.K., Canada, France, Germany, Italy and Japan upheld their support of the Paris Climate Accord, President Trump said he needed more time to decide whether he would recommit to the accord that aims to combat climate change. "I will make my final decision on the Paris Accord next week!" President Trump tweeted Saturday morning. 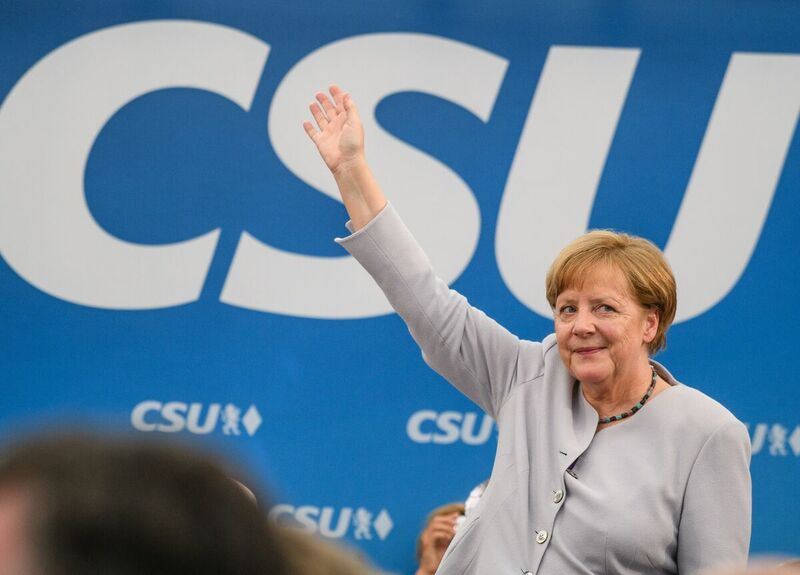 "We Europeans must really take our fate into our own hands," Merkel said, while also stressing the importance of maintaining friendly relations with the two nations, as well as other countries, "even with Russia." "But we have to know that we must fight for our future, on our own, for our destiny as Europeans — and that's what I want to do together with you," she added. Polls show the chancellor is on track to secure a fourth term in the September elections.